We supply quality chair covers in a few different styles, qualities & colours along with bows & sashes in a multitude of different colours and textures. Our chair covers are available in a white luxury cotton material, white ‘stretch-fit’ spandex or black spandex and fit virtually all types of banqueting chairs. We also have a large selection of organza and satin bows / sashes to complement your celebrations colour or theme. Chair covers can completely transform the look of a venue and are supplied & fitted, freshly cleaned and pressed. We have several different types of dance-floor available to hire for your event or celebration. Our dance-floors can add the WOW factor and create a focal point for every occasion. We have ‘non illuminated’ gloss black / marble white or black & white chequer-board dance-floors available in various sizes. These are made from a high impact & durable ABS material so can be used outside or in marquees, they come with edging trim and are very low profile. We also have white LED twinkle dance-floors, black LED twinkle dance-floors or a combination of black & white LED twinkle dance-floors in various sizes. The white twinkle LED’s have several different patterns and the floors come highly polished with aluminium edging trim. We also have the areas only, full colour LED retro ‘70’s style’ funky dance-floor. This can be used in a selection of fixed colours to suit a theme or can be sound activated and flash different colours and patterns in time with the music. This has a slightly higher profile but can be supplied with ramps around it for access. New – we have a white LED floor where the twinkle lights can be set to a choice of colour, to suit a wedding or colour theme (ie pink / purple / yellow / red etc). These can twinkle, flash or stay static in a fixed colour or fade / chase through the selection of different colours if required. One of our new services which is proving to be very popular, is our projection of a bespoke designed monogram or business logo. We can make a beautiful handwriting style monogram of a bride & grooms names along with the date of their wedding to project onto a dance-floor or a venues walls. We can take a company or organisations logo and project it in full colour onto a building, wall, floor or backdrop – ideal for product launches, promotions, corporate events, exhibitions or open days. We also have moving monogram/logo projectors that can take the image and pan it slowly around a room or area. Our projectors are the highest quality featuring super bright white LED’s that don’t get hot, produce no heat and have no duty cycle so they can be left on for long lengths of time. VIP – Red Carpet ‘Grand Entrance’ available for hire. We can supply the chrome pillars, red ropes and the luxurious ‘bound’ thick red carpet for your VIP guests. Make sure that you and your guests are welcomed in ‘Style’ with a glamorous ‘Hollywood’ VIP Red Carpet Entrance. We can supply this in various lengths and can deliver and set this up for you, prior to your arrival. This is perfect for Wedding’s, Theme Nights, Dinner Parties, Black Tie Events and corporate functions. Our 3000watt & 5000watt skytracker searchlights pan from side to side, projecting rotating coloured or white beams up to 13km into the sky. 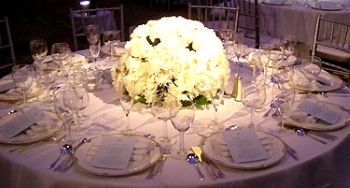 This is the ‘ultimate’ outdoor lighting effect if you want to make sure that everybody knows exactly where the event is. These are used all over the world to attract attention to a venue, event or celebration. Ideal for bars, clubs, hotels, corporate events, product launches, venue promotions and many other large events. Exclusive to Ultrasound Events! Our NEW podium’s can be placed at each side of the dance-floor or stage and used for dancing on, raising the dancer above the crowd and illuminating them with LED light beams and strobes. Perfect for ‘showing-off’ your dance moves to your guests! Underneath the thick clear plexi-glass are thousands of colour changing LED’s, coloured projector beams and strobe lights, making whoever is dancing on it – at the centre of the action. Perfect for 18th/21st birthday celebrations, teenage parties, school disco’s, prom’s, bars & night clubs. Hire our LED illuminated poseur tables for your party. These fantastic illuminated tables can be set to a fixed static colour of your choice, to compliment your colour theme. They can also be set to slowly fade from colour to colour like mood lighting, or flash different colours like disco lights. They are totally cordless and work for up to 12hrs from a single charge. They are also waterproof so they can be used outside, in marquees or at garden parties. They stand 110cm high and are made from a strong acrylic plastic, a remote control operates the different modes, colours and switches them off. These look amazing when used with our venue up-lighting, positioned around a function room or dance-floor area. WOW your guests with the ultimate in party furniture! Hire a fantastic and very popular sweet cart for your event or celebration, complete with a wide assortment of classic and popular sweets and treats. 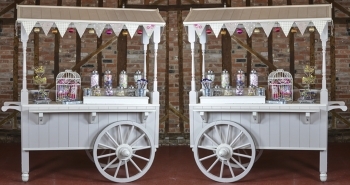 We supply the cart, delivered and set up along with a canopy and decorations to match a colour theme. We also supply all of the glasses, jars, scoops, tweezers and sweet bags for your guests along with a member of staff (if required - to serve and stop the kids from being too greedy). This is perfect for weddings, civil ceremonies, kid’s birthdays, christenings, dinner dances and corporate functions. Hire our ‘Arcade’ style dance mats for your celebration. Up to 8 x wireless ‘full size’ professional dance mats can be used, which communicate with our special console which projects the dance steps onto a giant screen – in time with the music! We have hundreds of different songs to dance to and several different difficulty levels from Easy-to-Professional. The console will keep track of each player’s accuracy and give them a score at the end of each dance, so you can have a ‘Dance-Off’ with your friends to see who is really – the best dancer! This is awesome fun and great for burning off some energy (and calories). Perfect for kids parties, teenage parties, groups, associations, keep fit classes, corporate or promotional functions etc. This is another very popular service that has come over from the USA and is being requested more & more in the UK. We can spotlight the centre of each table in a venue along with other specific areas that require highlighting like a cake table, speech podium, food serving area, presentation table, artwork or sculptures etc. This works really well at weddings where often there is a feature in the centre of each table like flowers, balloons, bowls etc. Our spotlights accent the centre of each table and remove the need for ‘house lights’ which illuminate all of a function room or area. It creates a nicer atmosphere aswell as looking spectacular in any venue. The lights are wireless, battery operated super bright LED’s which are remote control, so can be dimmed or switched off as required throughout the event. For larger events we decorate discreet stands so that they are in keeping with a venues decor, to mount the table spotting lights on. 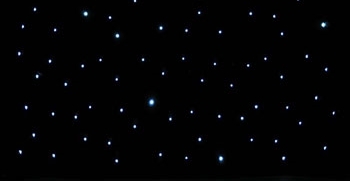 Hire one of our Black or White Star Cloths with twinkling white LED’s that look like stars in the sky. These are available in 3m x 2m - 6m x 3m – 8m x 4m or can be bespoke made to your requirements and can be used in multiples. They look fantastic as a backdrop with one of our Black or White twinkly DJ Booths & dance-floors. Frames, stands and truss etc all available to hire to hang the star cloths from. All of the LED’s can be static, slowly fade, slow flash or fast flash – to suit the occasion. ‘GIANT’ 3m x 2m Stretchy Screens have a multitude of uses for many events. These are perfect for showing slide-shows of photographs or videos at a wedding or birthday party. They are also great for use on our ‘Video Discos’, with our ‘Arcade Dance Mats’, for larger ‘Race Nights’ or even for meetings, conferences or presentations. The Ultra Short Throw projectors are positioned close behind the screens, so they take up little space, nobody trips over projector cables or walks in front of the projector causing shadows. They are very bright, give a very high quality picture and look stylish at an event. These can be hired individually or in pairs and the height can be adjusted so the screen can be seen above people on a dance-floor. Decorating the ceiling and features of a venue or function room with our wireless battery operated fairy lights looks fantastic. Wrapped around beams & pillars, streaming down in a canopy from chandeliers, draped over fireplaces and woven across suspended ceilings – fairy lights are a simple but very effective way of transforming a venue. Available in a romantic ‘warm white’ colour LED and also in a flashing version, we can supply and fit these in virtually any venue. We have a large quantity of modular staging units that can be assembled to provide a stage, catwalk or presentation area. Our staging units are finished in wood and grey carpet so are aesthetically neutral to suit any event or venue. We can supply sets of steps for access and can deliver / set up the staging for you as required. Our ultra bright, high resolution NEC/SANYO/PANASONIC projectors can be used in any venue with high quality screens that can be up to 6m x 3m in size. These are ideal for presentations, slide shows or even to watch DVD/games on. We also have rear projection projectors, LED projectors and Ultra short throw projectors to meet any requirements. Available to hire are 42’’ and 50’’ flat screen plasma/LCD monitors for a wide selection of events. These can be supplied with stands, tripods or mounted from truss etc depending on the event, venue or customers requirements. Small, discreet and high quality PA systems are available to hire, for a whole host of purposes. Most popular is for wedding receptions & wedding breakfasts because we can load some appropriate romantic music onto the ‘self contained’ system, plus it has two wireless microphones for speeches and announcements. To make these PA systems even more versatile, they are powered by a rechargeable battery which will give 8-10hrs use without wires to trip over. There is also a panel on the rear of the system where an SD card, memory stick, MP3 or laptop can be plugged in to play audio from. These systems are also very popular for presentations, meetings, sports days, christenings, ceremonies etc. Lightweight but heavy duty aluminium trussing can be hired from us in a wide selection of shapes and sizes. This trussing can be used to mount lighting or audio/video equipment on, hang drapes, backdrops or starcloth’s from or just to create a non enclosed structure around a dancefloor or product. This is very popular for theatrical productions, product launches, night club installations, fashion shows, boxing / martial arts events, exhibitions and demonstrations etc. The trussing can support a huge amount of weight and can be illuminated where required to make it look less industrial. 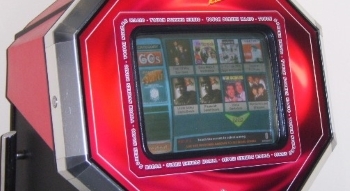 Pop Bingo is a unique and popular fun game that we compile, that is a cross between regular bingo and a music quiz. This goes down very well at social events, pubs, fundraising nights and corporate events. We issue ‘bingo style’ playing cards that instead of having a grid of random numbers on, have a grid of random popular music songs on them. These cards are totally random so that no two are the same, just like a bingo card. We then play a random mix of all of the songs that are on the random cards, but you only get 5-10seconds of a recognisable section of the song to identify it. If you recognise the song and it is on your card, you mark it off – just like in bingo. There are prizes for a ‘line’ or a ‘full house’ and singing along to the lyrics is compulsory, until somebody shouts ‘POP BINGO’! Huge fun, very addictive and brilliant entertainment. We supply everything needed from playing cards, music, PA system and even a host for the event. This is fun entertainment for all ages! 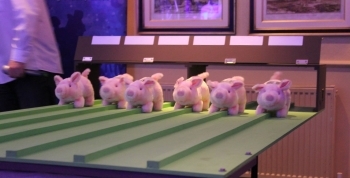 Watch your customers or guests ‘scream & shout’ at our battery operated pigs as they waddle, snort, grunt & wag their tails down our track. The first to fall into the basket at the end is the winner! You can sponsor a pig before the event to win or place bets on a pig at the event to win. We can play for real money and pay out cash prizes as part of a fundraising event, alternatively we can issue ‘fun money’ which can be just as competitive. Additional prizes are given out to the ‘Ultimate Pig Racing Champion’ plus we supply gold medals and rosettes for winners of the races. We supply everything required to run a pig racing event along with a professional host who will get everybody up & around the track for each ‘nail biting’ race. A perfect addition to any event and much more interactive than a regular race night. We can supply digital jukeboxes which are ideal for a whole host of events like house parties, christenings, informal get-together’s or if you would prefer to let your guests control the music selection at your celebration. These are free standing machines with a large touchscreen monitor and come pre-loaded with thousands of music tracks covering virtually every style, era and genre. The machines are set to ‘Free Play’ so no money is needed to operate them. We can supply extra ‘louder’ speakers for larger venues, just in case the 200w built in speakers are not quite powerful enough. We can also provide some disco lights as an optional extra, to create that proper party feel. We have available for hire a fantastic ‘Cash Grabber’ machine – perfect for bars, night clubs, public parties, fundraising events, promotional and corporate events. 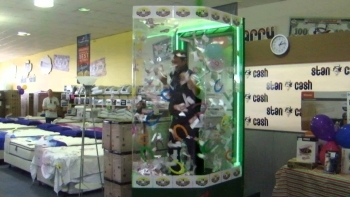 The machine is made of tuff clear acrylic so people can see the person inside, the machine is fitted with powerful fans and filled with ‘fun money’ that the user has to try and grab, stuffing as much as possible into a collection shute within a certain amount of time. There is also a big countdown clock and flashy lights on the roof. We can provide a presenter to host the event and operate the machine. Typically prizes will be issued to the highest value ‘grabbers’ – awesome fun for all ages!